Celotex GA4000 Insulation boards can be used in many different applications one being underslab floor insulation used in conjunction with a Celotex TB4000 insulation board as an upstand around the perimeter. Alternatively Celotex FF4000 can be used which has a slightly higher compressive strength than the GA4000 and is generally advised for use where underfloor heating is to be installed as the clips hold into the thicker foil easier. When used in underscreed floors it is good practice to encapsulate the insulation with a polythene DPM as the foil can give a chemical reaction with the screed. Celotex GA4000 is an excellent choice when suspended floor insulation is required giving much greater insulation properties than standard fibreglass insulation or Rockwool insulations generally used in this situation you are able to use a much thinner Celotex GA4000 than you would have to with fibreglass if space is an issue or install an equal thickness of celotex giving improved insulation performance to your suspended floors. Another use for Celotex GA4000 can be for use as roof insulation , generally used in conjunction with other insulation materials to perform to building regulations the Celotex GA4000 should be cut to fit tightly between rafters with all joints where boards meet being taped to seal. Then a board of either TB4000 or PL4000 or other appropriate insulation materials would be fixed over the top of the GA4000 covering it and the rafters. Celotex GA4000 can also be used in partition / internal walls giving a high performance thermal insulation which in time will provide great savings in your home energy bills. Celotex GA4000 is manufactured from a Polyisocyanurate foam covered both sides with a low emissivity foil facing they are very easy to cut with a fine toothed saw although a dust mask is advised when cutting to prevent dust inhalation, the Celotex insulation board has a grid system printed on one side of the foil which helps when cutting and also laying out underfloor heating pipeworks. The Board is manufactured in a standard size of 2400mm x 1200mm and these are generally stocked in 50mm , 60mm , 65mm , 70mm , 75mm , 80mm , 90mm and 100mm these boards are available in any quantities (delivery charges may apply on very small amounts) to suit your project and are usually on 2-3 working days for delivery and sometimes quicker if required. 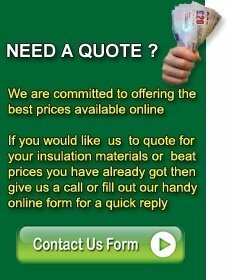 If you would like to buy celotex insulation or for the latest cheap prices on Celotex GA4000 please do call us on 01793 791010 alternatively please fill out an enquiry form we will respond as soon as possible, please ensure all relevant information is completed.